Hi!! My favorite mascara is clumping up and I'm anxious to get my new tube in the mail! This happens to every tube of mascara over time. Unfortunately mascara dries out. To help prevent this, don’t pump your mascara to get more on your wand; you’re basically pumping air into the tube causing it to dry out even faster. Since I'm waiting for my new tube, here's a trick I learned. 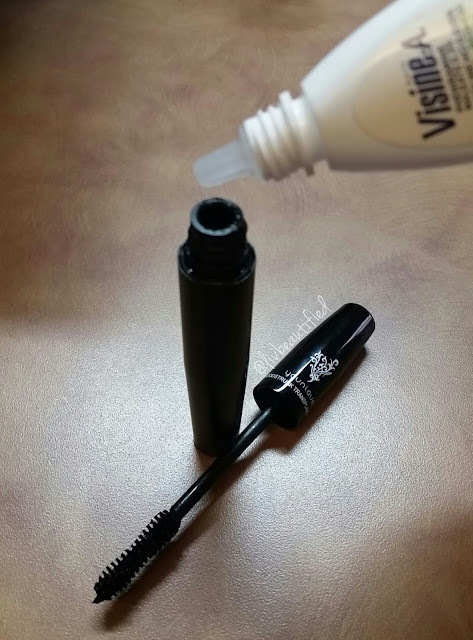 Add a drop or two of Visine (any brand of eye drops) into the tube, and then rub the wand around inside. The Visine softens the mascara. Your mascara will feel brand new and your application will go on smoothly. Keep in mind, this is a temporary fix, you should replace your mascara every 3 months. I hope you find this helpful! Enjoy the rest of your week!